Summer is one of my favorite times of year. I love the sun, the long days and the blooms in my garden. But perhaps the reason I like it most is that there are no big holidays to get ready for. In the church calendar, we are in “ordinary time” and this long stretch from Pentecost to Advent is a time when we can focus on our “ordinary” days. I can ask, how do I spend my time when I don’t have the extra obligations of the busier times of year? 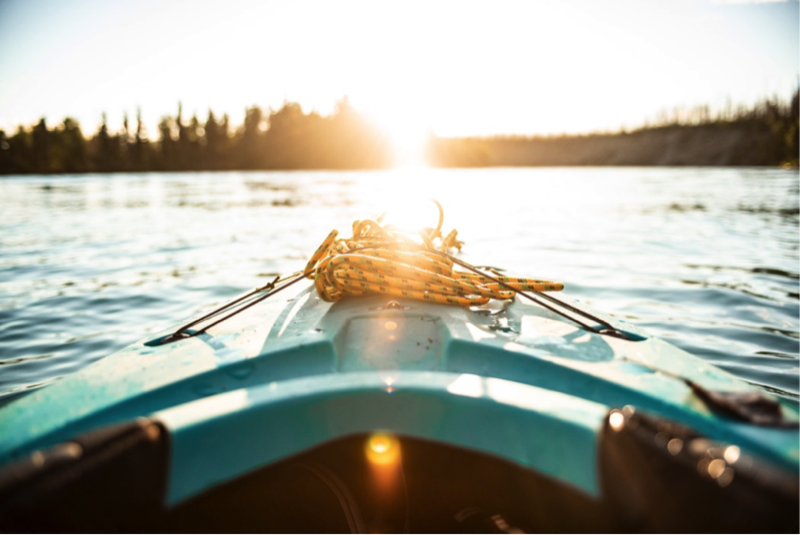 How can I live with more joy and a balanced rhythm of work and play? One way to do this is by “savoring.” We all know what it means to savor our food. It means appreciating the smells, colors and textures, lingering at each bite, and enjoying the taste. It had never occurred to me we could “savor” other experiences. Perhaps ordinary time is a time to savor the ways God has met me in the first part of the year. 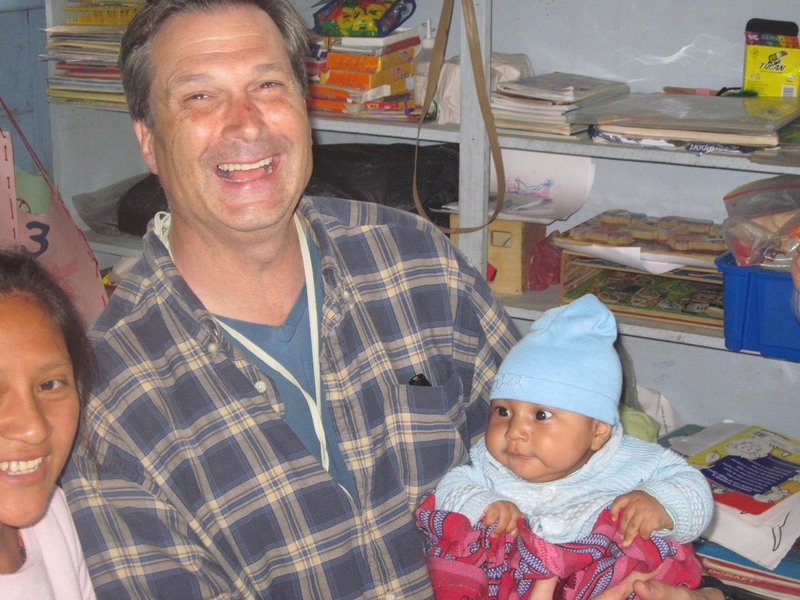 In my times of prayer or meeting with my spiritual director I can recall and savor the special moments from the last six months, like the time a friend was baptized or my trip to visit my older son. I feel more joy when I remember the sights and sounds of these events. I am also learning to value silence. Most days I try to take a long walk in my neighborhood. It’s easy to fill that walk with noise—music or a podcast. Those are not necessarily bad things. But I’d like to experiment a bit with silent walking. I notice more of my surroundings when I am unplugged. I make space for creative thinking and maybe even prayer. There is still work to be done in ordinary time. Sometimes it feels quite, well, ordinary. There is shopping, cooking, cleaning, paying bills, planning trips. We all have to do a lot of routine and often boring tasks. In my better moments, though, I remember the example of Brother Lawrence, the 17th century monk who found peace in washing dishes in the monastery kitchen. He was a believer that we can experience God not just in “spiritual” activities like church but in our everyday, menial tasks. All of the small, ordinary events of our lives can be sacramental, says Harrison Warren, meaning that God can meet us in the “earthy, material world where we dwell.” I hope to reread this book this summer and pay more attention to the rhythms of my daily life. This summer, unlike most summers, my family has no big travel plans. Maybe that’s why I’m feeling like I can embrace this ordinary time even more fully. Perhaps this is the summer to appreciate where I live, where God has placed me. I’m eager to attend the outdoor theater production in a neighboring town and I look forward to exploring parts of the city I’ve never been to. I know there are projects at home too. We will be putting a new roof on our house sometime in the next few months, and I’m mindful it will require patience and a heart oriented to thankfulness. I also appreciate this summer as a pause before my son’s senior year of high school, a year that will be filled with a lot of busyness as he prepares college applications and graduation requirements. As I write this it is almost the summer solstice, the longest day of the year in the Northern Hemisphere where I live. It’s a great time to practice savoring. In particular I remember past summers when I was traveling in some beautiful places. I especially remember several trips to Northern Spain, where, because of its geography, the sun didn’t set until nearly 10 pm. I’ll never forget the lively nighttime streets, the delicious tapas and paella, and our rosy cheeks from a day at the beach. I’d like to be back there again, but the memories are almost just as good. What can you savor during this ordinary time? How can you build more silence into your days? And how can you be aware of the sacramental in the ordinary, everyday tasks of life? A friend of mine recently recounted how she had been gone for three weeks and when she returned a sunflower in her yard had grown about five feet! This reminded me that in this season of light and ordinariness amazing things are happening all around. This season, void of big holidays, can be the perfect time to notice the holy in the everyday and find reasons to orient ourselves toward joy and peace. We just might need more joy and peace in the busier times of year. Several years ago I was staying with a friend in Boston and he suggested we visit Walden Pond. He had always wanted to go and, knowing I was a writer, thought I might enjoy seeing the place where Henry David Thoreau wrote his famous treatise on living a life of simplicity in the woods. 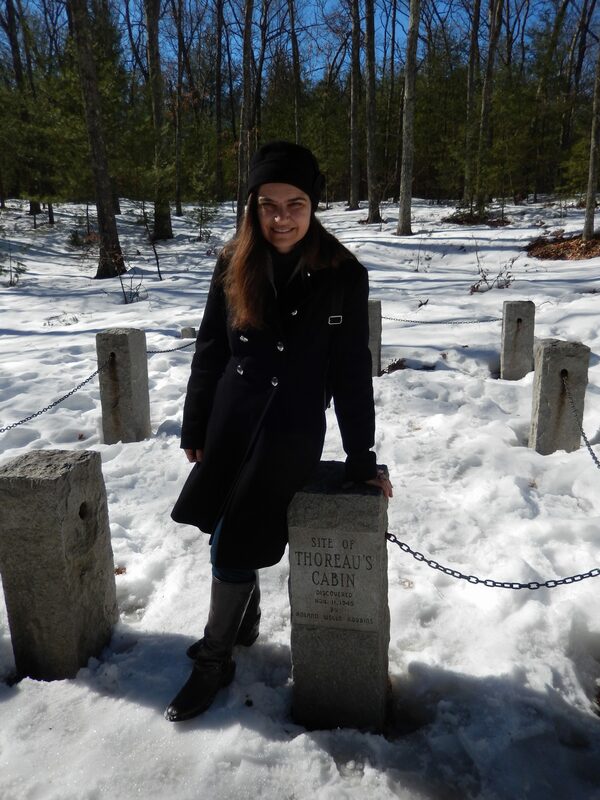 It was early April and the ground was slushy with snow when we visited Walden Pond. It took us at least an hour to slosh our way around the “pond,” which is really more like a small lake. We paused midway through to look in awe at the posts indicating the spot where Thoreau had built his 10-by-15-foot cabin (it no longer stands). Thoreau lived here for two years in 1845 and 1846 while he experimented with meditation, solitude and nature observation. I had mostly forgotten about the trip to Walden Pond until I saw my friend recently. As it turns out, he enjoyed the excursion so much that he continues to visit the pond frequently. Something about the place has touched his spirit. For a few hours he can set aside his life as a busy doctor and soak in the beauty, quiet and stillness that Walden Pond offers. I think of this today as I’m preparing to see several people in my new role as a spiritual director intern. For the next nine months I’ve been assigned to meet with four people and listen to their stories. I will help them identify their Walden Ponds, those places in their life that bring them solace or connect them to something greater than themselves. I’ll also listen to their wonderings, questions, and most likely, pain. As a spiritual director, I am not a counselor who will fix their problems. I am there to accompany them along whatever journey they are on, believing that the Holy Spirit is guiding our conversation. Most people will come wanting to deepen their relationship with God. Other people may be exploring God or their spiritual life for the first time. I first experienced spiritual direction myself 20 years ago, when my pastor led a group of us through the spiritual exercises of Saint Ignatius. I saw my pastor monthly for a year and we simply talked about life and how I was experiencing God. This was a revelation. Although I had been a Christian since childhood I had never talked with anyone about God in such a direct way. It’s one thing to believe that God spoke to people in the Bible or maybe that he hears my prayers. But it’s another thing to believe that he is speaking to me today in even small things like sunsets or synchronicities—and to give voice to that experience with another human being. Spiritual direction is countercultural. Our culture thrives on information, entertainment and noise. In spiritual direction we light a candle, invite God’s presence and take an hour to slow down and just be. The spiritual director may ask a few questions, such as: “What was life like for you today?” or “Can you describe the time today you felt most free—or least free?” Mostly though, the spiritual director listens and helps the directee go deeper into their story. The director may notice that the directee has strong emotions around a certain topic and ask the directee to say more about that. Or the director may point out certain rich words the directee uses and highlight those as significant signposts, worthy of attention. Other times, the director may suggest a few minutes of silence in the conversation. This is the ultimate countercultural gesture and for those new to direction, it may be uncomfortable at first. It surprises people to learn that a spiritual director is not highly directive. The title of director is a little misleading. As one of our books described, the director is more of a companion or midwife. The directee is the one birthing new ideas and thoughts and the director simply helps them attend to those. The Holy Spirit is the real director. To be sure, there are models of spiritual direction in which the director is more directive, for example in the model used by orthodox priests. The model I’ve been trained in, however, positions the director much more in the place of fellow traveler. My journey in training to be a spiritual director has taken its own twists and turns. When I started my program a year ago I envisioned the training to be mostly a head exercise. I assumed I’d be learning facts and techniques. I was only partially right. We have learned some of these things, down to some “technical” concepts like transference, whereby a directee might transfer feelings they had toward some person in their past to the current director, because the Director reminds them of that person. Or there is counter-transference whereby the director transfers feelings they had for a past person toward the directee. It is good to be aware of these dynamics and other nuts and bolts issues. However, where I’ve really been impacted is during our “practice” sessions of spiritual direction itself. Each time we meet for training we take up roles as either director or directee, with a trained facilitator observing us. These are real sessions when we bring our real anxieties, experiences and joys to light. In these sessions as a directee I’ve talked about everything from the desire I’m feeling to spend more time writing to the sadness I’m feeling over a strained relationship. Most of the time I’ve felt a great lightness after these times of sharing and I feel buoyed even days afterwards. Sometimes I’ve felt a great heaviness as I talk over a difficult topic and I realize I need to give that issue more attention. I believe this is the work of the Holy Spirit in spiritual direction. The director usually has not directed me in any specific way; it is the Holy Spirit leading me. When I’ve taken on the role of director, I’ve sometimes been nervous. But I relax as I take in the directee’s honestness and vulnerability and I do my best to pay attention and listen well. There are twelve of us in the spiritual direction training program and each person brings their own unique personality and strengths to their role as director. We are a diverse group of different ages, genders, interests and faith experiences and it gives me some relief to know we don’t have to fit a certain mold. 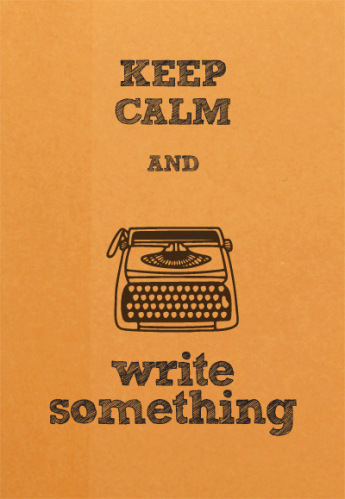 In my case, I see a lot of overlap between writing/creative work and spiritual direction. A few months ago I took a class on how to interview people. The teacher told us to look for the “gold tape,” or that part of the interview that has the most energy, and “cut” for that. In spiritual direction we are also taught to “pan for gold,” to identify those places in the conversation that glimmer and go deeper in those areas. Those nuggets will often be things that the directee wants to savor—or they may be things for which the directee feels some resistance. Both of these experiences, savoring and resisting, are things we don’t generally take time to note in a “normal” conversation. We often rush through our everyday conversations in a great hurry without much contemplation. My son and I surveyed the stacks of clean clothes on his bed. Did he have everything he needed for his second year in college? And what about his guitar propped against the wall? Should he bring that along too? We bantered back and forth about packing details and I tried to imagine what it was going to be like for my son to move into his first apartment off campus this year. This wasn’t a question I was fully expecting. But I was thrilled to know that Miguel wanted to spend time with TJ. It makes sense. This past summer my boys bonded in a way they never have before. It wasn’t something I planned or anticipated. “I challenge you to a game to 21.” It’s one of the more frequent statements I heard this summer. Thus would start a long night of ping-pong games that would easily last until 2 or 3 am. I made sure to close my window before going to sleep so the tap tap of the balls of the balls didn’t wake me up. And this would be after a day of playing online games and perfecting various grilled cheese sandwich recipes for lunch. It wasn’t always this way. Although my kids did a lot together when they were little, they developed different interests as they got older. Miguel likes cooking, exploring new places and golf. TJ is a gamer with a cohort of online friends across the country. By the time Miguel got to high school and TJ was in middle school, they rarely did activities together. It’s not that they didn’t get along; they just lived in separate worlds much of the time. I was sad they didn’t do more together. All of that changed this summer. In June we took a family trip to Guatemala and the last hotel we stayed at had a ping-pong table. 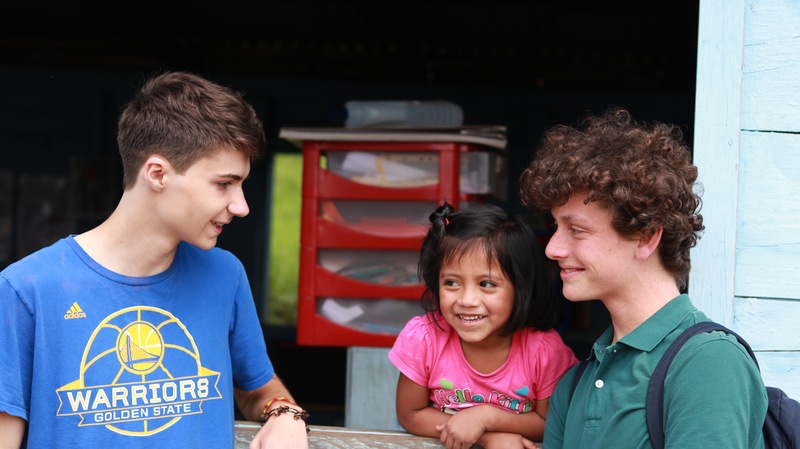 The boys enjoyed seeing the sights –ancient Mayan pyramids and beautiful jungles–but what they really liked was the ping-pong every night at the hotel. The day after we got back from our trip, they drove over to grandma and grandpa’s house, loaded up their old table in a friend’s van, and set it up on our patio. “Isn’t it great we’re so evenly matched,” TJ said to me after a few weeks of playing. “The only problem is that our friends can’t keep up,” Miguel said. 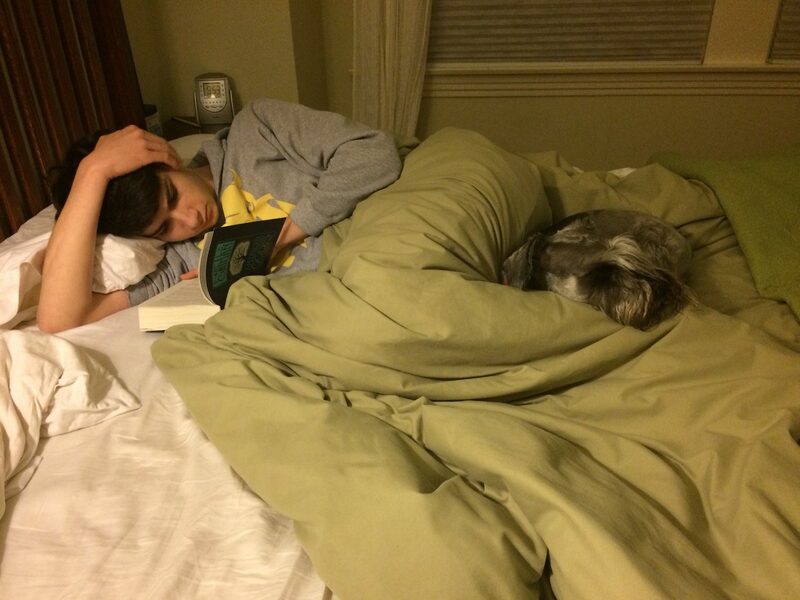 In hindsight, I now realize my boys’ relationship didn’t change overnight. It began to shift last year, when Miguel was away for his freshman year in New York. The boys spoke frequently on Facetime, mostly talking about the latest music and videos, which had always been Miguel’s domain. Then Miguel began to take an interest in TJ’s online gaming world and joined his chat forum, where he got to know TJ’s friends. For spring break TJ and I visited New York and the boys appreciated each others’ special qualities. “TJ is so funny. He made all my friends laugh,” Miguel reported after TJ had spent the night in his dorm room. The next day we were walking down Fifth Avenue and I commented that it could be fun to take a double-decker tour bus around the city. Those moments made my heart swell. I relished the fact that my boys saw the positive sides of one another. 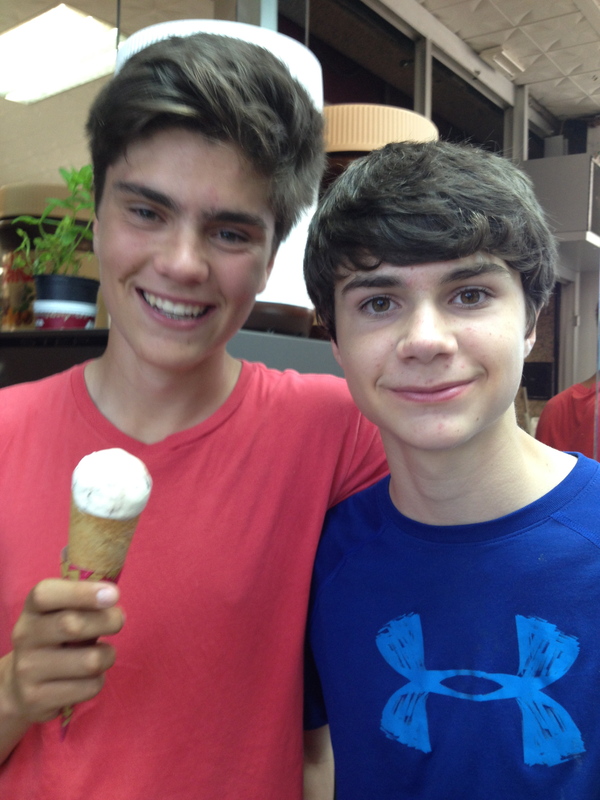 Ironically, if it had been up to me, I may have quashed my boys’ bonding this summer. Early on I was worried they both had too much unstructured time and several times I suggested they both do more “productive” activities. At one point I asked them if they had any goals. Fortunately I decided to back off and their relationship deepened even more. At midnight one night between ping-pong games, Miguel invited TJ on a road trip with a friend. The plan was to leave at 6 am the next morning and drive to a national park five hours away. Uncharacteristically, TJ readily agreed, leaving his computer behind for several days. They camped, tried mountain biking for the first time and floated in inner tubes down a river. After years of planning family vacations together, I was glad to see the boys could execute a wonderful vacation by themselves. I’m not sure where my boys’ relationship will go next. They have so much to face still in life—college, relationships, careers. If they are like my brother and I, they will bond just as much or more over the low points than the high points. I’m just glad they have reached a solid point of friendship that has blossomed despite the distance and their differences. It gives me solace to know they are taking a genuine interest in one another and can support each other in the years ahead. In the 2105 movie “The Martian,” astronaut Mark Watney is stranded on Mars after a dust storm causes the rest of his crew to flee. Watney knows he must make contact with the crew in order to be rescued. He is completely alone in the barren landscape of Mars. Yet he manages to keep his faith that somehow, some way he will reconnect with his team and make it home. He puts his efforts into surviving. Sometimes Earth itself can be a lonely place too. It can feel quite desolate. We often feel we have to use all our wits to just make it one day to the next. Yet many of us have faith that there’s another thing out there in the universe that is constantly rescuing us, leading us “home.” This thing is called God and he is interested in every detail of our life. Recently I’ve been challenged to reaffirm my belief that God is a God who cares about the big and small details of our lives. I’ve embarked on a program to train to be a spiritual director. The core of being a spiritual director is listening to people’s lives and helping them see where God has been present. It is an ancient practice that is enjoying a resurgence of interest at a time when many people, Christian and non-Christian alike, are seeking to know more about spirituality and God. In my program the last six months, we’ve explored various contemplative practices, such as journaling, the Prayer of the Examen, centering prayer, contemplative listening, and imaginative prayer. In addition, I’ve continued meeting with my own spiritual director. In each of these practices, I’ve trusted that God is present and sometimes I catch a word or image that feels like it’s just for me. My general experience as a result of all these practices is a feeling of nourishment and well-being. This is not to say there have not been challenges, doubts and fears. 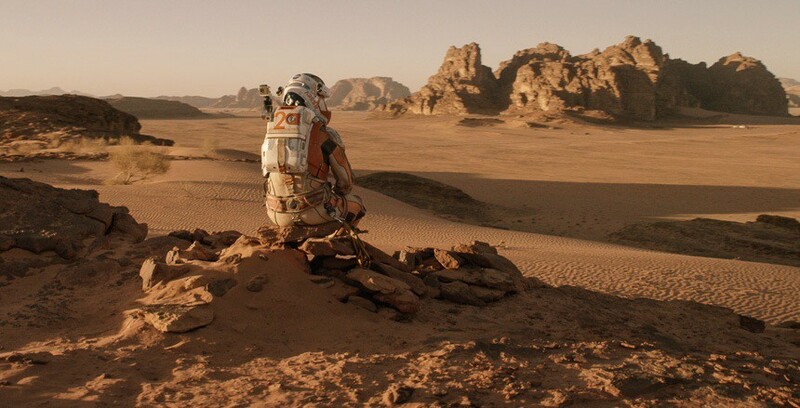 In “The Martian,” Mark Watney initially has success growing his own food thanks to the fact he had potatoes he could plant and his own waste to use as fertilizer. Then, however, a storm destroys the greenhouse he has built and he is back to ground zero. In the same way, just when I feel I am understanding spiritual direction or God, a storm blows through, causing me to rethink things. Early on in my spiritual direction journey, I became friends with a woman who is a staunch atheist but finds herself in a space that is causing her to explore the possibility that God might just exist. In our weekly discussions she asks me just how is it that a loving God can allow suffering. Or why God seems so selfish in demanding our complete obedience. I’ve had to admit that I don’t have adequate answers to these mysteries, yet I still affirm that God cares about us deeply. I’ve never been in a relationship in which another person has so persistently questioned God, and, to be fair to the questions, I’ve questioned him too. It’s easy to see God in the good things but not so easy to understand him in the perceived absences. Not long after I started the spiritual direction training program, I learned I would have to change my own spiritual director, whom I had seen for several years. I was upset. I had grown to trust her guidance and rely on her support. To make matters worse, just as I had to change directors several difficult relationship issues came to a head. How could God pull away this support in a time of need? I eventually did find a new director but not without much fretting. In hindsight, I realize we are almost constantly in a state of need and the months I was without a director made me feel even more strongly that having a director is a good thing—though it’s not the only thing. I can and did receive “direction” from other people. When Mark Watney was left behind on Mars, it didn’t take long for NASA to realize his predicament. Although communication lines were cut, they desperately tried to reach him. Is God the same way with us, using any and all means to communicate with us? My faith tradition and experience tells me the answer is yes. And the contemplative practices and spiritual direction help me to slow down and see the signs. They even help me examine my doubts. One thing so far is sure. God doesn’t leave us as we are. Through the contemplative practices and spiritual direction, I can see the faint outlines of change. As my atheist friend points out, personal growth is what God seems to be after. It may be too early to see the big picture of all this. That can wait. It was with a heavy heart that I learned this week of the terrorist attack in Barcelona. I have spent some of my happiest moments in Barcelona and feel a special affinity with the city. It’s a beautiful place and it’s frightening to think a horrible act of hate could take place even there. 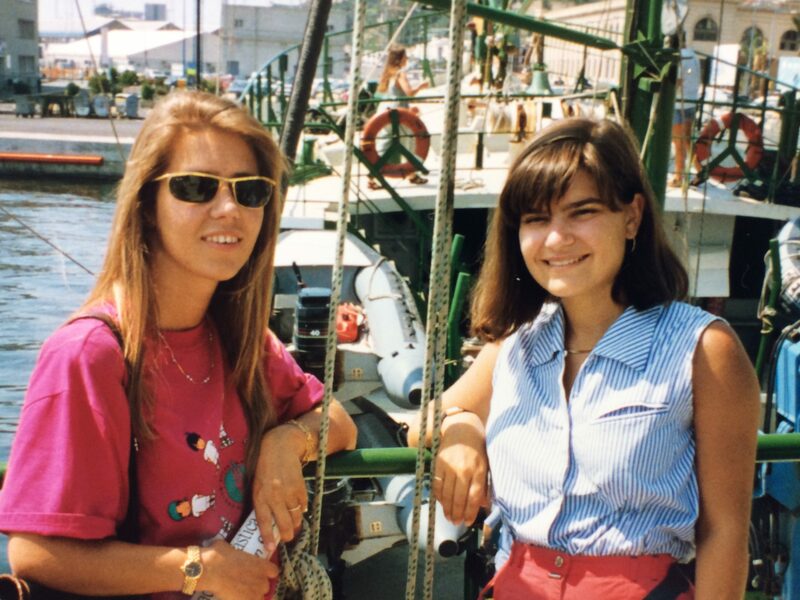 In 1993 my husband and I spent five months living as students in Barcelona. A year earlier the city had hosted the summer Olympics and was standing tall, with a shiny new stadium and refurbished buildings and boulevards. We spent a lot of time on La Rambla, the street where the driver mowed down innocent people last week. La Rambla runs almost a mile from the waterfront through the city’s old Gothic quarter to the elegant 19th century Eixample neighborhood. It is the perfect place to poke in and out of old alleyways, shops and cafes. Some people say the Catalans are snobbish and reserved. They are overly proud of their culture, history and language, distinct from the rest of Spain. We found a bit of that to be true, but mostly we found very gracious, welcoming people. A week into our stay we met a Catalan university student, Esther, who needed help studying for an upcoming English exam. We made a deal with her to exchange English conversation practice for guided tours of Barcelona. For several weeks, Esther showed us the sights, either walking, or sometimes riding in her tiny black car. We walked around the new stadium on Montjuïc and took a tram up to Tibidabo, where you can take in a breathtaking view of the city and the Mediterranean Sea. The city’s location next to the water and its many hills reminded me of San Francisco. I was far from home, but felt like I was in familiar surroundings. Thankfully, Esther passed her English test. Even so, we continued meeting with her, though then we tried our best to speak in Spanish. Eventually, she invited us to her home, which she shared with her parents and three siblings. Soon, we became regular visitors. One memorable night Esther’s father, a gregarious man who worked as the principal of a nearby school, made us a delicious paella meal, preparing the dish on an outside grill in his back patio. After the meal, he asked, “Os gustaría una copa?” (Would you like a copa?) We had no idea what a copa was. “Claro que sí,” of course, we responded. As it turned out a copa is a drink and he proceeded to ply us with one after another after-dinner sipping liqueur, served in small shot glasses. It’s a good thing Esther drove us back home. Back in our own apartment, we were treated just as well. 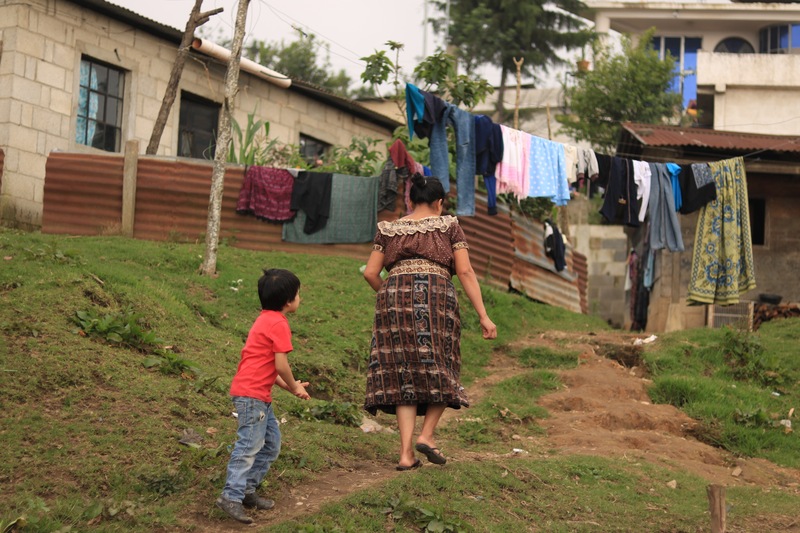 We lived with a single woman, MaríVi, and her 19-year-old son, Alvaro, who sported long neon red hair. Although they were out much of the time, no doubt enjoying the full social life of many Spaniards, at home they enjoyed introducing us to Spanish soccer matches on TV, making me an unforgettable birthday dinner (squids in their own ink), and an occasional game of monopoly. Whenever Peter was winning, MaríVi laughed and told him he was “engañando.” It took me a while to figure out that meant cheating. 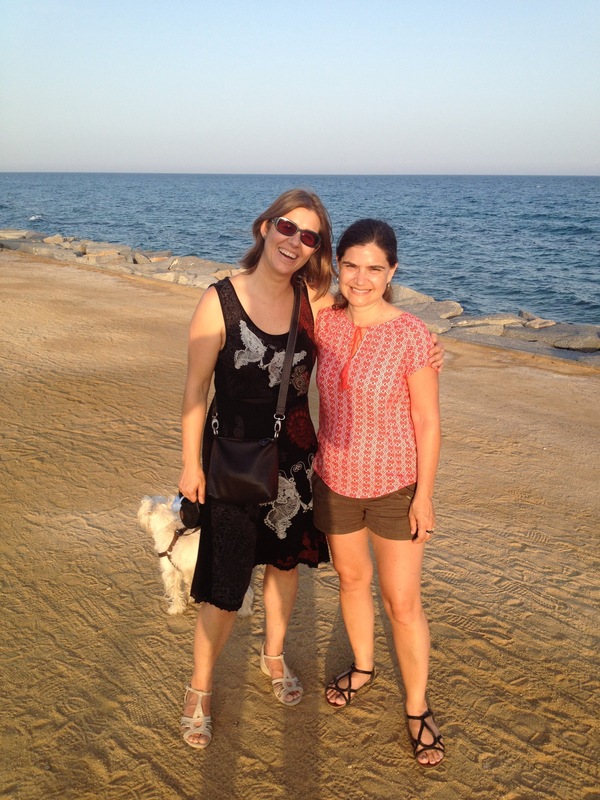 We’ve been back to Barcelona several times since our sojourn there so many years ago. In fact, we had hoped to live there for a year in 2010 but instead chose Madrid because Barcelona’s schools teach in Catalan, not Spanish, and we didn’t think our kids would want to learn Catalan. Indeed, the Catalan issue is controversial in Spain. Should such a small (geographic) area insist on speaking its own language instead of Spanish? During our short stay in Barcelona, we were forgiven for not speaking Catalan. But “if you are here more than a year, you must learn Catalan,” one man told us bluntly. Esther pretty much told us the same thing. I hesitate to argue. For a place that helped form Picasso as a young artist, produced the artists Gaudí and Miró, and continues to foster innovative fashion, food, ideas and art, maybe they have the right to speak however they want. Through the years, we’ve kept in touch with our friends in Barcelona. Esther has taken her father’s place as principal of the school, has twins who attend the school, and lives in a beach town just outside of Barcelona. After a busy day at work, she likes to swim in the sea. She still drives a tiny car. Our landlord MaríVi still lives in the same apartment, a 10-minute walk from La Rambla. Alvaro is now a 30-something man with short brown hair and has a wife and a young son. The day after the terrorist attack, both Esther and her husband posted on Facebook that they “were safe.” I hope MaríVi and Alvaro are safe too. Barcelona has changed a lot since we lived there. The streets are jammed with tourists in the summer time. There are more immigrants. No doubt there are growing pains. The Catalan independence movement has gotten stronger. And now, terrorism has left its ugly mark. It seems very few places in the world, even the places that hold special meaning to us—be it Paris, Nice or Barcelona—are untouched by the complexities of the modern world. I just pray that my friends there won’t lose their sense of joy and their impulse to extend kindness to strangers. I have a lot of confidence in the spirit and hope of Barcelonans to overcome. It seems that a city that once endured the repression of a fascist regime has incredible strength. 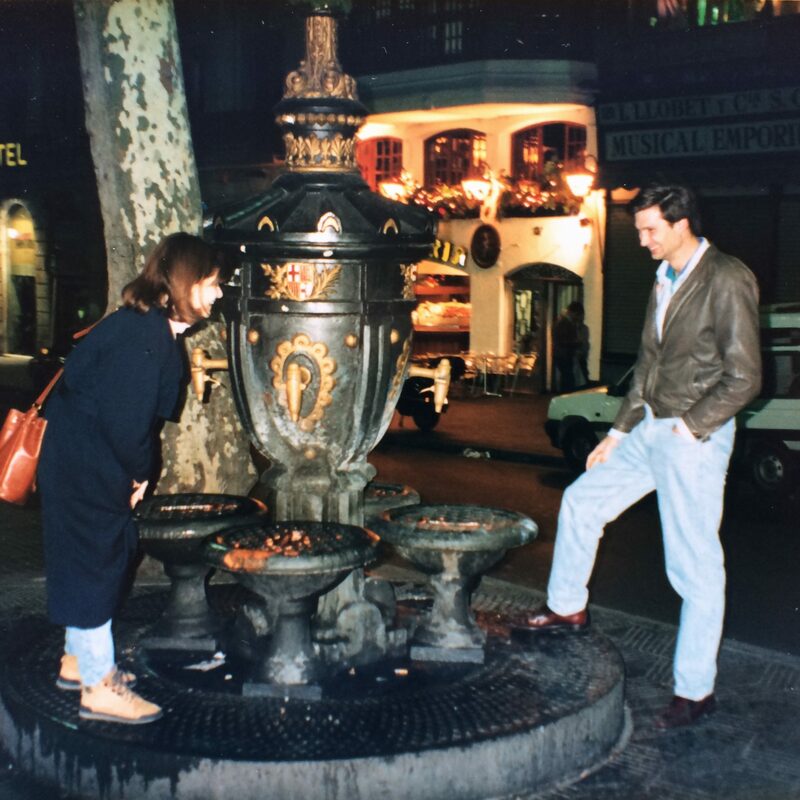 When we were preparing to leave Barcelona after our semester in 1993, Esther told us we must drink from the famous Canaletes fountain at the top of La Rambla. That would ensure we would return. She drove us in her little black car right to the fountain. It seemed to have worked, as we did return several times. And I do hope to return again, someday soon. 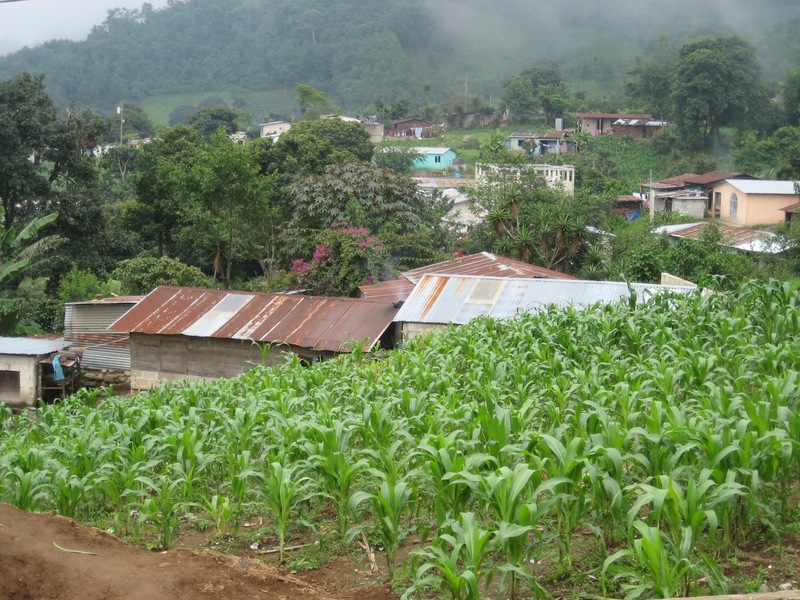 Seven days, 21 people, a small farming village in the highlands of Guatemala. It sounds like a mission trip, a service project or maybe some kind of trendy eco-tourism. 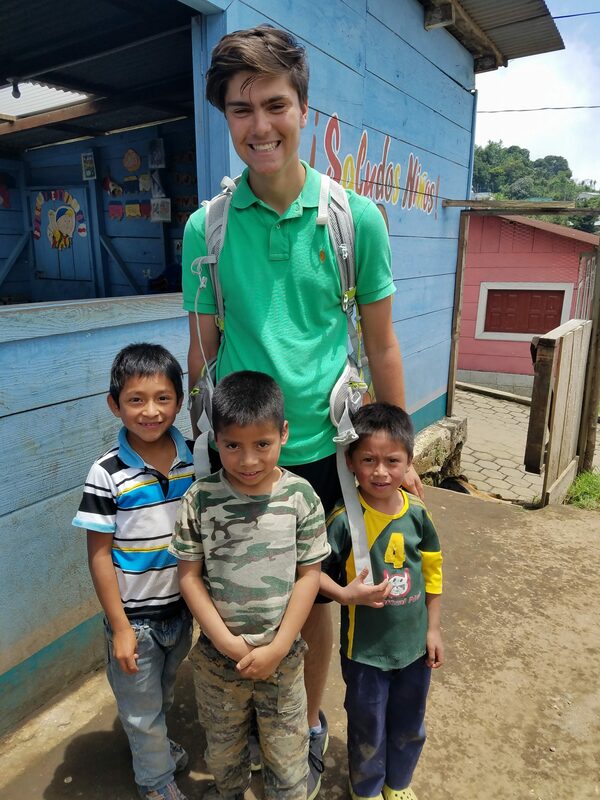 As I reflect more on my recent travels to Guatemala however, the description that best fits the trip is family reunion. Although we did come with a few projects in mind, our stay in tiny Panyebar was remarkable mostly for the relationships we formed and renewed. There, among the lush fields of coffee beans and corn, we saw what can happen when you cultivate friendships over a long period of time. Our first taste of friendship came when our two microbuses pulled up to the edge of town Monday morning. Suddenly a group of several dozen students filled the streets. 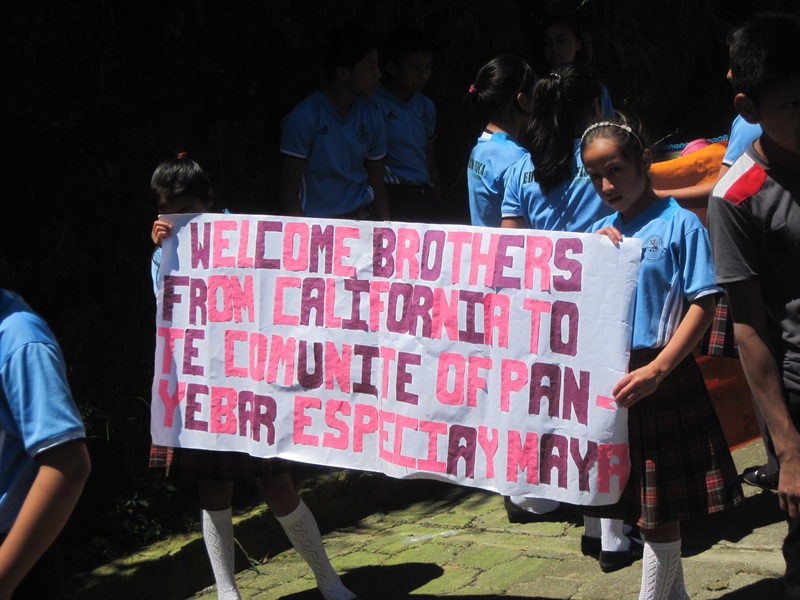 Some were playing instruments and others were holding banners that read “Welcome brothers from California” in English, Spanish and Quiche, their native language. We got out of our buses and greeted the students, then marched behind them up the hill all the way to the school. 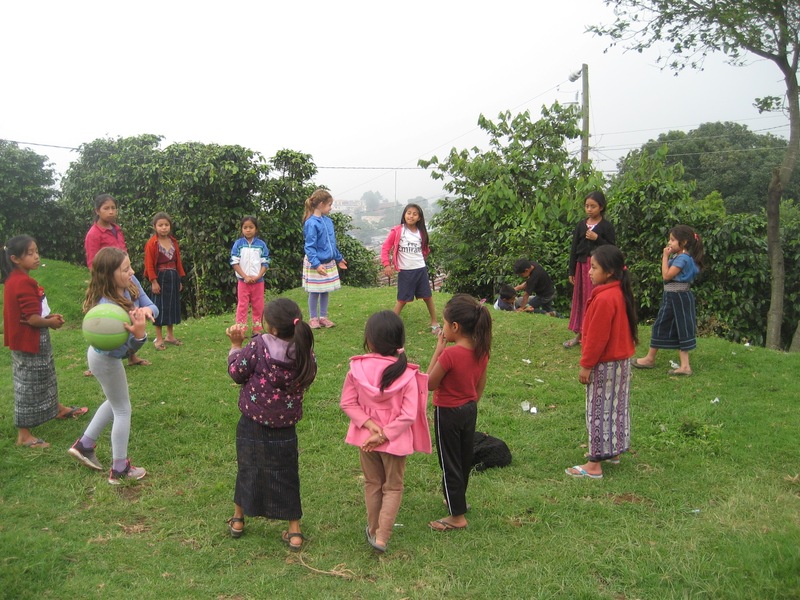 There, on the school basketball court, they had planned a welcome ceremony for us complete with a traditional Guatemalan dance, a flag ceremony, songs and homemade gifts. A new charismatic young teacher, Abel, served as the master of ceremonies, narrating all the events on a portable PA system. His booming voice could be heard throughout the village. We haven’t always received such an extravagant welcome in Panyebar. The first time my family went there, in 2008, we arrived with no fanfare at all. At that point, our group’s work in the village was rather new. 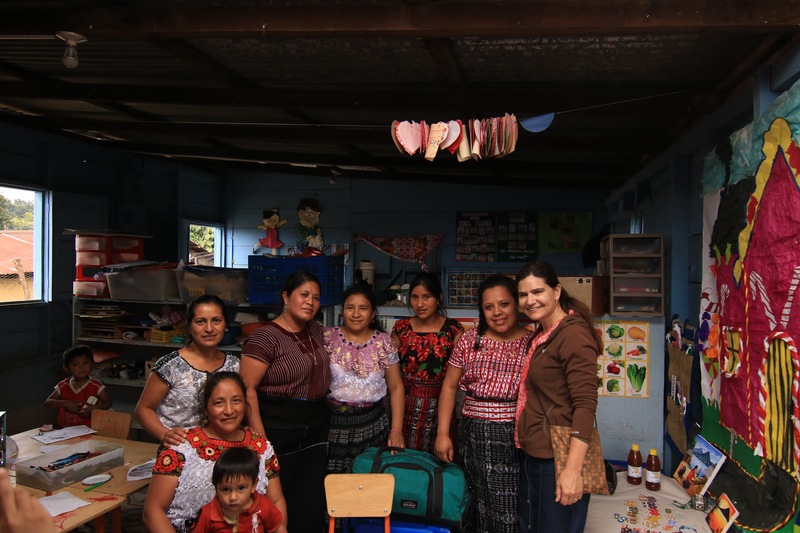 We had just begun supporting the village’s new middle school a few years before. When our buses pulled up that year, I remember getting out and seeing just a few little kids hanging around. We climbed up the stairs to the school office and I met a teacher. I tried to talk with her a bit in my basic Spanish and sensed she was reluctant to engage. Was this a personality issue or was she unsure of our intentions and hesitant to open up to me? 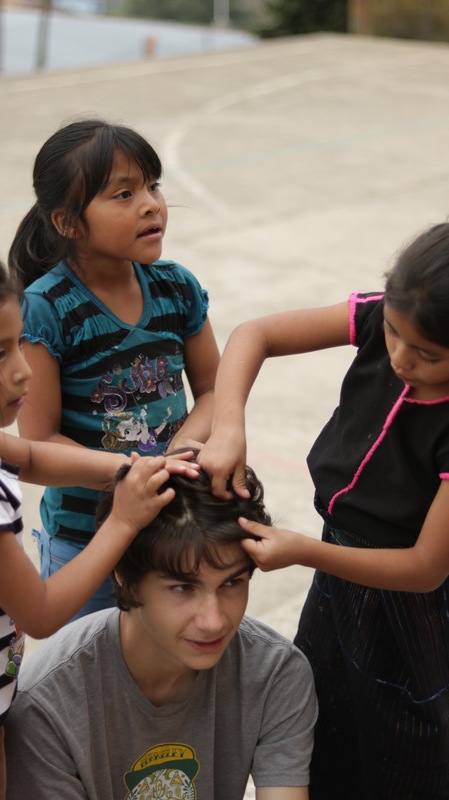 That year we accomplished a significant project (building a bathroom for the school) and the villagers did warm up to us, but I did not establish a strong personal connection with anyone. Fast-forward to this year again, and the landscape looks much different. In the intervening nine years various members of our group (officially a 501(c)(3) called Mayan Partners) have traveled to Panyebar many times. One year a couple from our group lived in the village for five months. As an organization we’ve gotten to know the personalities, quirks and lives of the people. Most of our resources have gone to the middle school, funding the teachers’ salaries. For the most part, the school has been a success. Whereas in the past very few kids went onto high school (for which students need to move to another city), now many kids go to high school and some even to college. This is significant in a place where most adults have only a second- or third-grade education. Still, despite the improvements in education, the village lacks employment opportunities and most people make only a couple of dollars a day. A few years ago I got involved with a project to sell handmade Christmas ornaments in the U.S. as a way to help women supplement their income. For two years I worked with a woman named Flory, the daughter-in-law of a pastor in town. Then this year I added a second group made up of women who work at a preschool. One of my goals in traveling to Panyebar this year was to meet these women face to face and get to know them. I wasn’t sure how this would go. Would it be like the teacher I met nine years ago who was hesitant to share? Would our conversation feel natural or forced? And what had happened to Flory? For some reason she had not returned my e-mails for the past six months. After our lovely welcome ceremony full of singing and dancing on Monday morning, I made my way down a little dirt path, through a cornfield, to the town preschool. I was eager to meet the teachers and see the 125 ornaments they had been working on for the past several months. I had the names of the women but really didn’t know much about them. Like most of the buildings in Panyebar, the preschool is made of cinderblocks, wood slats and a sheet metal roof. 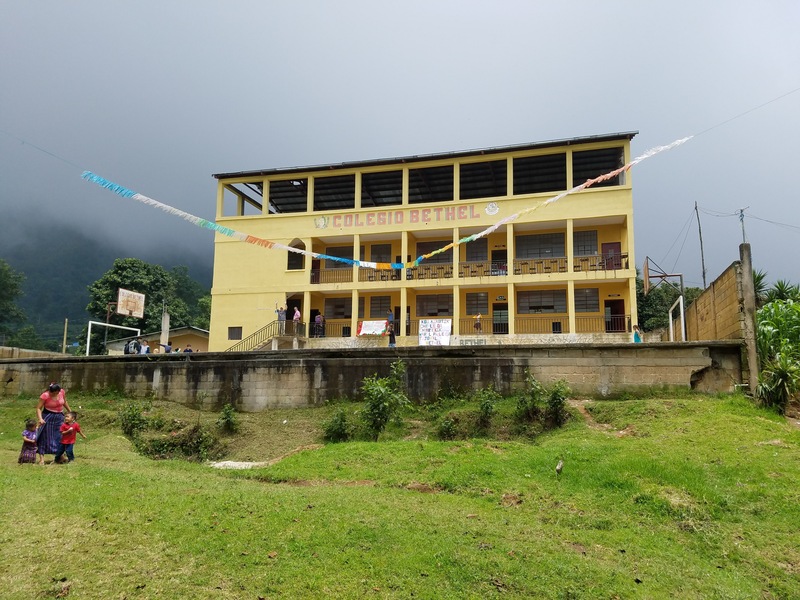 It’s not modern in any way, though through donations from individuals and groups like World Vision, it has a surprising number of resources, like books and chairs and tables for the 55 kids who attend. Along one wall are small toothbrushes hanging from nails. The teachers try to cultivate good hygiene, which is a challenge in a place where most people never see a dentist and lose many of their permanent teeth by the time they are adults. When I finally stepped into the preschool, several people from our group had already arrived ahead of me. They told me that the women had been eagerly asking about me. “Where is Allison?” they said. I entered the building and was surrounded by six women, all shorter than me, wearing traditional Guatemalan blouses and skirts. 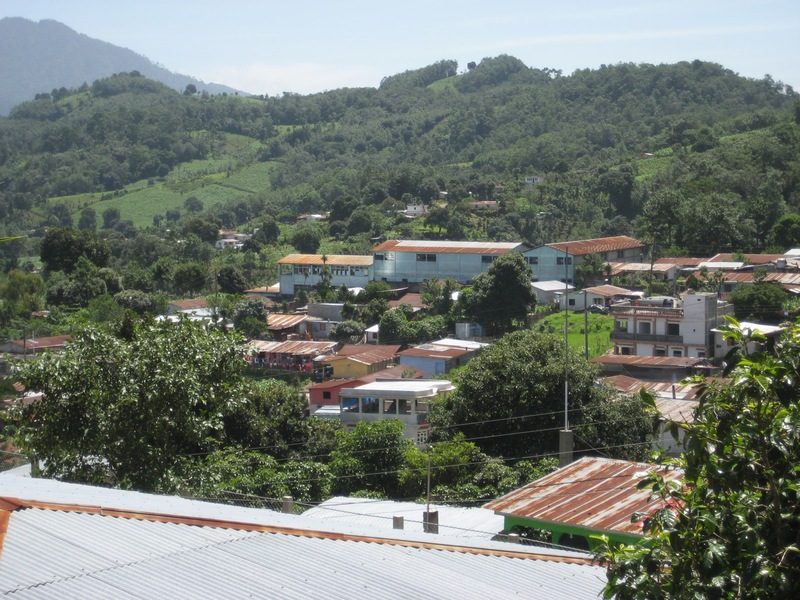 I met Rosario, who I had been e-mailing, as well as Juana, Dolores, Maria, Aracely and Dominga. They greeted me with big smiles and hugs. They had been working very hard on the ornaments and were so grateful for my help in giving them work and taking an interest in their crafts. 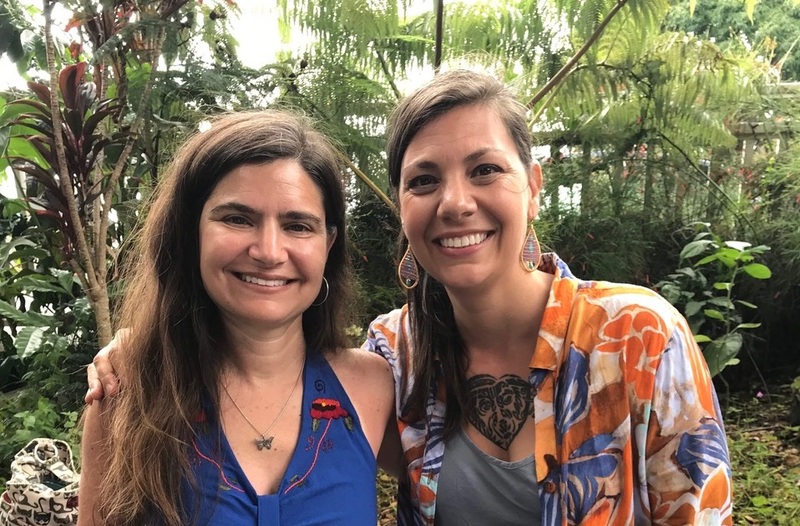 It’s possible I had met some of these women nine years before, but this time, with our shared connection over their work, it was like meeting family. They seemed open, friendly and loving. After our meeting, I announced to them that I’d brought crafts for their students. I had prepared the crafts as a measure of goodwill between us, not knowing they’d receive me so generously. 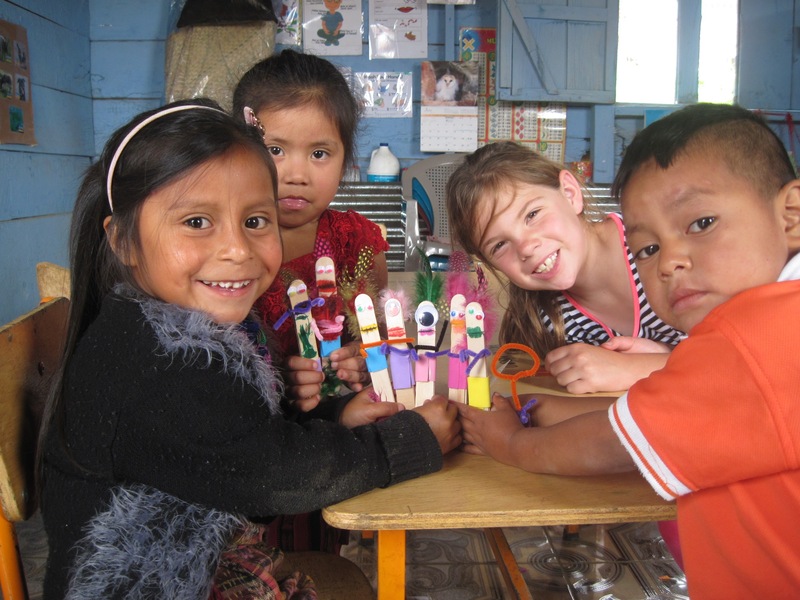 Looking back, I didn’t really need to prepare the crafts to create good feelings, but it did provide a way for me and others in our group to get to know the preschoolers. They are a sweet bunch of kids who, like kids everywhere, love to draw, play and learn. That day, after the craft session, and after most of the preschoolers had left, the teachers and I sat in the tiny little kid chairs and talked. They offered me a fresh mango, cut into long strips. I told them about my family and my life in California. So much time went by that they got worried I would miss the bus back down the mountain. But that’s OK, they joked, we would love for you to stay here tonight! Then, one of the women’s daughters, a teenager named Lucia, offered to carry the duffel bag of ornaments back to the school where I would be catching the bus. She treated them like a precious possession. They represented hours of dedicated work. 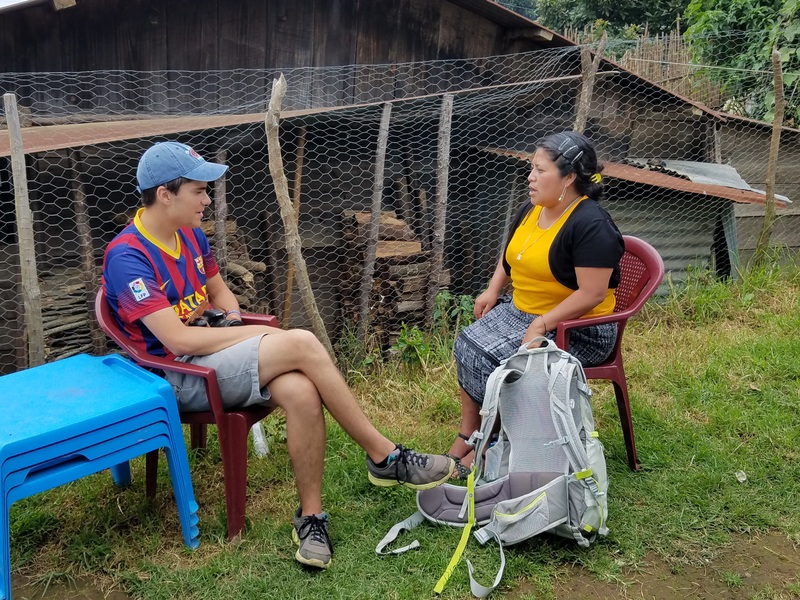 Along the way, Lucia told me the story of how she had been ill much of the past year but now, thanks to her family’s prayers, she had recovered. She promised to invite me to her house later that week. It was a promising start to our week with the people of Panyebar. I’ll write more in my next post about tracking down Flory, who had made Christmas ornaments for two years but then stopped answering my e-mails. I’ll also try to distill a few other experiences from our “family reunion” in Panyebar.